Our Witcher 3 walkthrough continues with Imperial Audience. When the scene opens, answer a few questions about your past (if you didn’t play The Witcher 2, and have no idea what’s going on, say whatever you like. It’s all okay). Your first task when you regain control is to loot all the containers around the room. Then pick one of the three outfits (you can loot them all if you want to) and equip it before speaking to the Chamberlain. When prompted, choose the second option – right hand on chest, left leg forward. 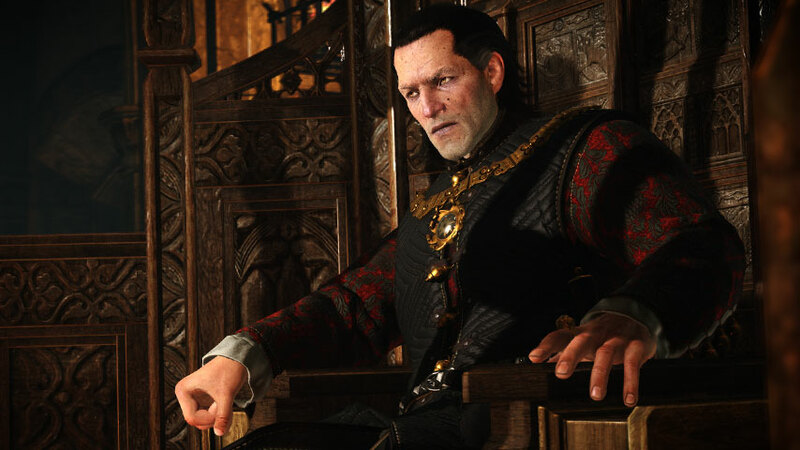 Follow the Chamberlain through the castle to meet with Emhyr. You must choose whether to bow or not, with limited time to decide. No matter what you do, Geralt will retain his sass. So that’s good news. When the audience ends, follow the Chamberlain again, looting everything you see, then pass through the door he stops by and loot everything else before you enter Yennefer’s room. When Yennefer leaves, loot everything here, too. That wasn’t so hard. You are now on the mission The Niflgaardian Connection. Onwards to The Nilfgaardian Connection, or back to The Witcher 3: Act One – Velen.